Let the neighbors know how excited you are about the holidays with this embellished red velvet wreath. Aleene's Quick Dry Fabric Fusion makes it easy to create fabulous holiday decor everyone will be jealous of. 1. Cut the fabric into 3 strips. Keep in mind that the size of the wreath depends on the length of the fabric, so cut them however long you want it. Then secure the ends with a zip tie. 2. 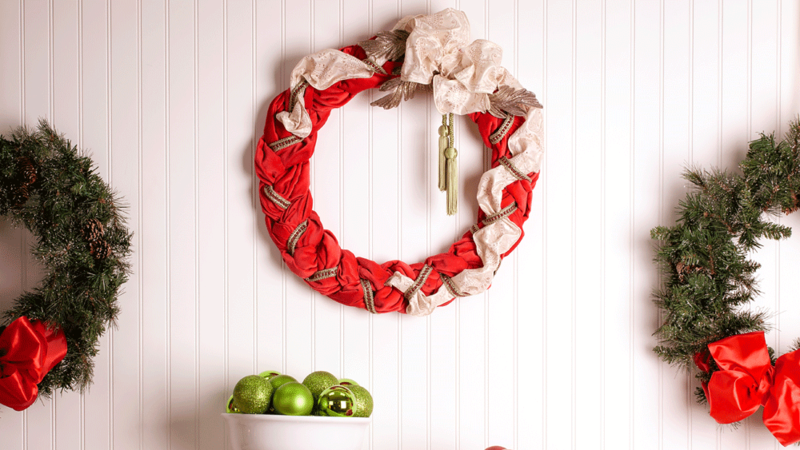 Braid the fabric to the desired size of the wreath. Once it is braided, secure both ends with a zip tie to create a circle and cut of any excess fabric. 3. Take the wire clothes hanger and bend it into a circle shape and glue to the back of the wreath. 4. 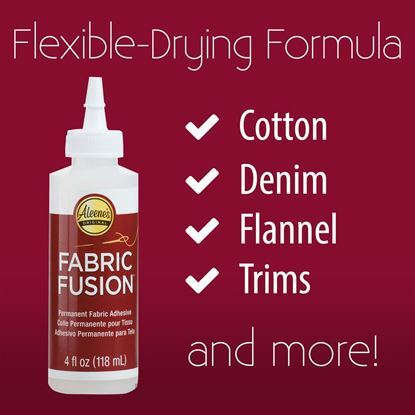 Use the Quick Dry Fabric Fusion to add desired ribbons and other embellishments. Then let dry.